A good marketing strategy includes working out a good SEO-strategy to enable customers finding you in their google searches. Whatever content you create, you should always make sure to optimize it, also when it comes to your video marketing. First off you should make sure your videos add some value to the viewers. It is therefore crucial to create video content with quality rather than quantity in mind. We’re not saying that you shouldn’t make several videos, but make sure that all your videos are relevant and can provide your audience with some valuable information. In this way, you can build trust with your viewers, increasing the probability of turning them into paying customers. 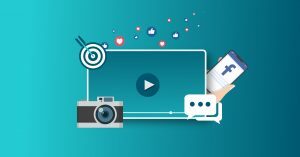 Quality videos that can provide relevant information to the viewers can both make you the go-to company for information within your field of expertise, at the same time as it can increase conversions. Check out our free guide “The Ultimate Guide To Video Marketing Strategy”. When creating content with search engine optimization in mind, one needs to think about the goal of the content. Is it to generate shares, create more engagement, or is to increase conversions? It’s recommended that you stick to one or two goals per video so it seems focused – an unfocused video can confuse the viewers about what they should do next. Defining a goal for the video will also make it easier for you to decide its format and where it should be posted. No matter the goal, you should always make sure you provide quality content to your viewers. This will increase the chances that your videos will be shared, and it can result in an increase in conversions. Add a video to your landing page to make sure you grab the visitors attention immediately. You may not have that many seconds, so it’s important that your offer is presented in a fast, yet interesting way, to get the visitor engaged in your offer. Create demo-videos to increase your conversion rate. This is an effective and engaging way of showing and explaining what your business or service is all about. A thumbnail that is representative for the content of your video. Want to learn more about how you can implement video in your marketing strategy? Click the link below to get your free copy of our guide.